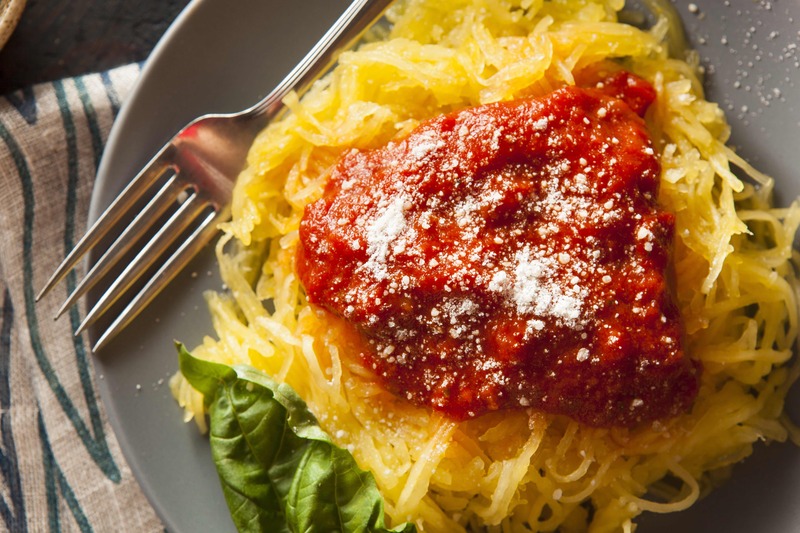 Spaghetti squash is the perfect food to include when you are craving the flavors of pasta but may want to take a break from the standard wheat alternatives. Once the squash is finished cooking, scrape out the insides and add the flavoring of choice. Season with salt and pepper and add a bit of grated parmesan if desired.